How to add user to existing groups in SharePoint Online? 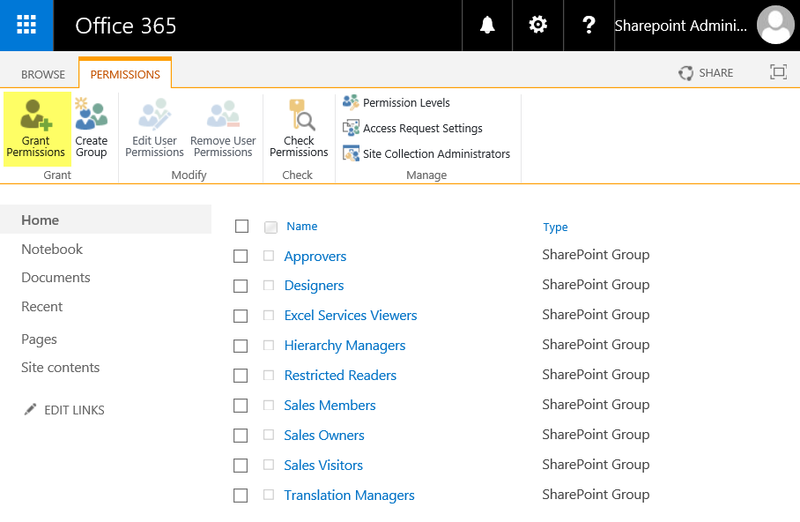 Each SharePoint Online site comes with a default set of SharePoint groups, such as Owners, Members and Visitors. You can add users to these groups, so that you can manage group permissions in a single place instead of managing each individual user. 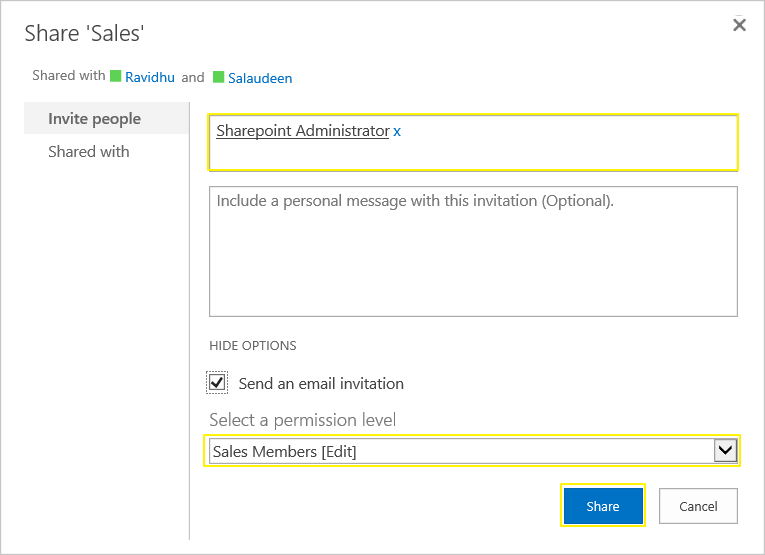 Creating SharePoint groups with custom permission levels also possible. Login to SharePoint online site >> Click on Site Settings >> Under Site Settings page, in the Users And Permissions section, click on "Site Permissions" link. On the Permissions page, click on "Grant Permissions" button in the ribbon from Permissions tab. Click on "Hide Options" link button. In the Select A Group Or Permission Level list box, select the appropriate group name such as "Members"
Alternatively, You can Go to Site Settings page >> Click on "People and Groups" link under Users and Permissions section. On the People and Groups page, Click on the name of the group from the Groups list in left navigation. On the Groups's page, Click on the arrow next to the "New" link and Add Users. Here is how we can add user to group using PowerShell in SharePoint Online. write-host  -f Green "User '$UserAccount' has been added to '$GroupName'"